London agency Uprise PR has thrown its weight behind The People's Vote - a grassroots campaign to give the public a democratic vote on any Brexit deal. Can this Saturday's People's Vote march gather as much interest as protests against the Iraq War? In doing so, Uprise becomes the first PR agency to publicly state its position on a second Brexit vote, warning that the original referendum was undemocratic and little more than a ‘sordid political game’ by chief Brexiteers Nigel Farage and Boris Johnson. "The communications industry is still uncertain as to what the impact of Brexit will be. The key players are, some might say characteristically, holding their cards close to their chests – but, behind closed doors at least, almost everyone agrees that the impact of Brexit on the industry will be somewhere between dreadful and downright disastrous," Uprise PR commercial director Sam Rogers said. "The referendum in June 2016 was patently undemocratic: Leave campaigners used embellishment, propaganda and outright lies to influence voters, and they still only won by the narrowest of margins. "The likes of Boris Johnson and Nigel Farage sold Great Britain down the river as part of a sordid political game and, frankly, they should be ashamed of themselves." Prior to the original Brexit vote, 79% of PR chiefs were opposed to leaving the EU but only about half thought Brexit would have a negative impact on the industry, according to a PRWeek poll. On Saturday, up to a million people are expected to turn out in London for the People’s March. 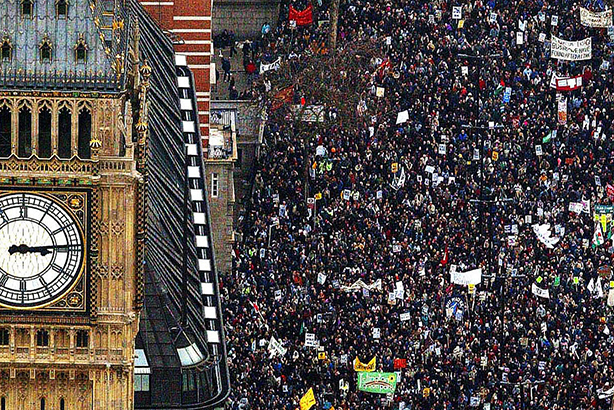 If predictions are accurate, it would become the largest protest in the UK’s capital since marches in 2003 in opposition to the Iraq War. Uprise representatives plan to attend the protest, which begins at midday on Park Lane. Rogers said it has become "crystal clear" that many people who voted to leave the EU did so on the back of lies. "Almost nobody who voted Leave did so with the full picture, and few could have foreseen that the Government would handle negotiations so poorly," he said. "Businesses have a choice. They can either batten down the hatches and hope for the best, or they can stand up and fight, and we are today adding our voice to those calling for a democratic public vote. "We always advise our clients to consider the impact of all the salient facts before making a major decision. We reject the idea that Britain must be bound by a decision that was made without access to the salient facts." Brexit: A buying opportunity for UK PR?